Galveston Historical Foundation has launched building Galveston’s newest downtown urban green space, Hendley Green. 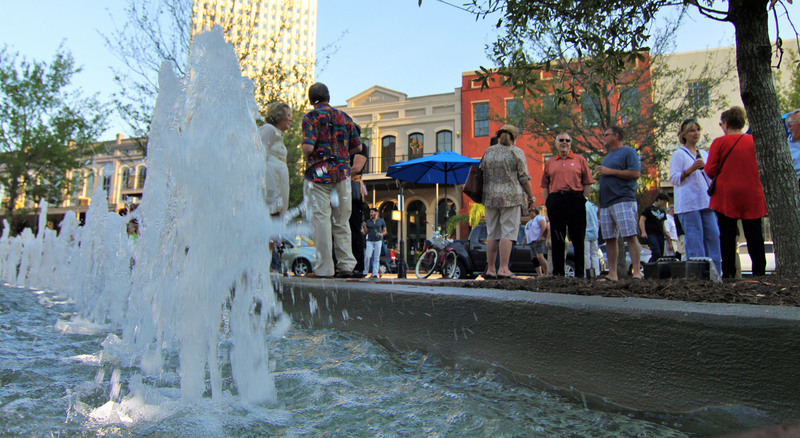 GHF began work in 2013 to design a public park that would both accommodate outdoor community activities, while also highlighting the history of the Strand-Mechanic Historic District, a National Historic Landmark. Hendley Green will provide immediate public access to approximately 500 permanent residents living in the historic district, 1,700 individuals employed in the historic district, 25,000 residents within a walkable distance, and made accessible to a growing body of tourists to Galveston, TX. The final outcome of Hendley Green is a new public green space in Galveston’s Strand-Mechanic Historic District designed to encourage community engagement. Whereas this area of the historic district has traditionally been an underutilized space, it will now comprise an area built to accommodate activity through a strategy of creative placemaking. A central lawn will accommodate guests during events, and will be available during non-event times as a gathering place for recreation and outdoor seating. An oak tree grove of thirty newly planted trees will flank the surrounding exterior of Hendley Green with accompanying tables and umbrellas as an alternative to the picnic lawn. The park will connect people to the outdoors and surrounding historic district by creating a safe, clean, and “green” environment. For inquiries on rental of Hendley Green, please contact Alyson Whitaker at 409-765-3432.